“Wasn’t that a great movie?” I asked the woman who had been sitting one seat away from me in the theatre. “Yes!” she quickly replied. “I really enjoyed it. I could see this movie winning Best Picture at the Oscars,” I said. She agreed. That movie is The Green Book. If you haven’t yet seen the movie, I highly recommend that you see it on the big screen. Everyone needs to see this movie. The woman who I struck up a conversation with – and her friend – are African-American. My husband and I are Caucasian. We all agreed that everyone needs to see this movie to be reminded of the history of our American culture, and to give voice to centuries-old issues that we face to this day, like racism and inequality. I could have easily walked past her after the movie ended. Instead, I chose to engage in dialogue. Pretty soon, her friend joined in, then two more African-American women, then another Caucasian couple. We formed a circle in the hallway outside the theatre, sharing our thoughts and feelings about the movie, and about our related life experiences. When I served as a Graduate Teaching Assistant in graduate school more than two decades ago, the professor overseeing our Communication 101 course created the class syllabus which included the viewing and discussion of the classic 1957 movie, Twelve Angry Men. I remember the conversation within my two classes, and how shocked I was by how little the students knew about the topic, about our justice system, power, persuasion, ethics and the decision-making process. It got me thinking: If you need to have an important conversation about a sensitive topic, let a movie guide you through the process. You see, watching a movie with a diverse group of people, like your co-workers, creates a safe space for open dialogue because you are first observing the story, then responding to its content and lessons. It provides a good starting point for a conversation. Most companies and organizations invest great time and money in developing leadership, management and diversity programs. A great way to enhance any one of these programs is to include one or several “required watching” movies that spark open dialogue. Until this movie, I had never heard of the real-life Green Book. The African-American women knew, though. One woman shared her childhood experience. She and her siblings were traveling with their mother in the Deep South in the late 1950s. They arrived at a Holiday Inn late at night in search of lodging. Unfortunately, blacks were not welcome at that particular hotel. Fortunately, the woman on duty secretly accommodated the family by offering a small room on the first floor if the woman’s family could be checked out before 4:00 a.m. The mother agreed and was grateful for the kindness of the night desk clerk, so grateful in fact that for the rest of her life, she patronized Holiday Inns whenever she traveled. She never forgot the generosity of that night clerk. The other Caucasian man shared a story about his Army days, traveling through a small town in the South with his fellow soldiers on furlough and the racism that he witnessed because one of the men in his troop was black. With some finessing, he and his Army buddies were able to get their friend the train ticket that he needed so he could keep traveling with the troop to their final destination. What started as a simple question to a fellow moviegoer had now grown into a full-blown, enriching dialogue among eight strangers. Each one of us had different backgrounds, histories, and lived experiences, yet we found a way to look at and talk about the common themes in the movie: Compassion. Kindness. Protection. Equality. Friendship. When you listen, and when you value others’ perspectives, you open up your heart to hear and acknowledge their voices. What movie could you watch with your team? What conversation could you initiate that could open eyes, enlighten, and even change perspectives? 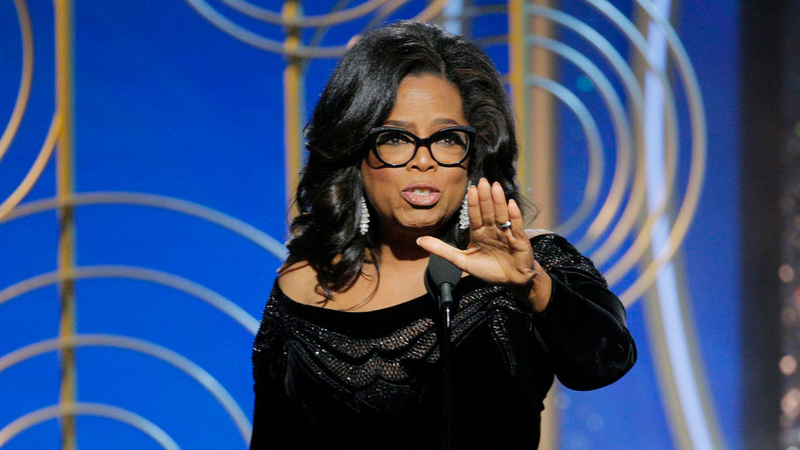 At this year’s Golden Globe Awards event, which was held on January 7, 2018, Oprah Winfrey delivered the speech of a lifetime, as the recipient of the Cecile B. DeMille Award for Lifetime Achievement for her accomplished career in television and movies. This was no ordinary acceptance speech. Her presentation – both in content and delivery – is one that will endure over time as one of the most powerful of its kind, as you can see on video or listen to on Spotify. It was an opportunity for Oprah to use her dedicated time on the platform to share an important message: “Time’s Up,” a movement begun by women in the entertainment industry to draw attention to and give voice to the pervasive societal issue of sexual harassment and sexual assault. Women attending the Golden Globes event chose to wear black as a visual symbol of their unity and support of Time’s Up. Refreshingly, red carpet interviews with celebrities focused on the Times Up message rather than couture dresses. Time better spent. Attention getting. Oprah opened with an anecdote from her childhood. She remembered at that young age watching television, as an Oscar award for best actor was presented to Sidney Poitier, a black man who served as a positive role model for her. Her story tapped into the emotion of the audience. Clarity of message. In my presentation skills programs, I remind participants to make their message meaningful and memorable through clarity. Oprah’s message did just that. She communicated her intent clearly and concisely. Relevance. A message must be relevant to the needs of the audience. In this case, an audience of millions, from ordinary everyday people to celebrities. Her powerful message resonated with people across cultures and socio-economic classes because the time had come to speak openly about an otherwise hushed subject. Intentional intonation. A good orator uses the voice as an instrument and masters vocal variety. Oprah’s words, so eloquently prepared and delivered, were shared with perfect emphasis and volume. Use of stories. Stories create an emotional connection with the audience. Oprah shared several stories and personal anecdotes, about her childhood, her hard-working mother, and stories of inspirational female luminaries like Recy Taylor and Rosa Parks. Selfless content. Oprah’s speech wasn’t about her; it was about a critical societal issue far greater. Audiences often complain about self-centered presenters, saying “All he did was talk about himself. Blah, blah, blah.” Oprah gave voice to a persistent problem in our society, and elevated her message to rise above the ordinary. Inspiration. 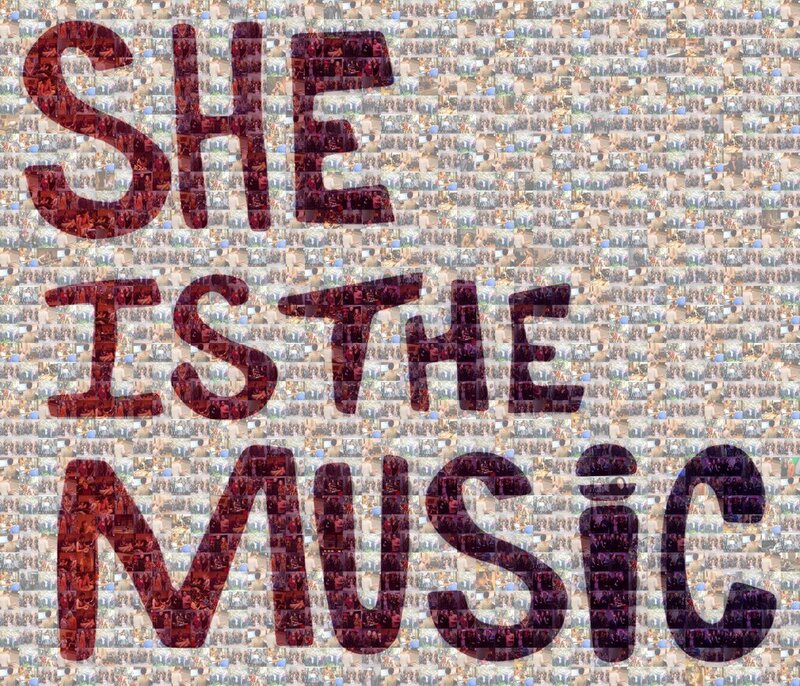 Her powerful words provided inspiration to millions of women and girls to speak openly and truthfully about sexually harassment and sexual assault. Those words provided inspiration to all who listened, including men who play an important part in making voices heard. To any disenfranchised people whose voices have gone unheard or who have ever been violated, undervalued or under appreciated in any way there was a recognition that their voices too were being heard. So many people were openly inspired and motivated that Oprah’s acceptance speech immediately started a speculative buzz about whether she would consider running for President in 2020. To borrow one of Oprah’s signature phrases, “This I know for sure”…Words really do have power, tremendous power. Words can spark curiosity, command attention, and motivate others to take action. Words can take you to places where you never before imagined or dreamed. In what way can you incorporate more power into your presentations? How can you better motivate and inspire others to take action? Well, it’s that time of year when we take the time out of one day, Thanksgiving Day, to give thanks. Thanksgiving Day becomes so rote, we often forget the real reason we get together with family and friends. Though the day is designed to celebrate the historic moment of the early settlers and Native Americans coming together, throughout the centuries we have derived our own personal meaning from the day. For some, it’s a day of “obligation” to spend time with both sides of the family, rushing from one home to another. For others, unfortunately, the day can be uncomfortable, frustrating, disappointing, or even depressing. For the rest of us, it allows us an opportunity to spend quality time with the people in our lives who truly matter to us. 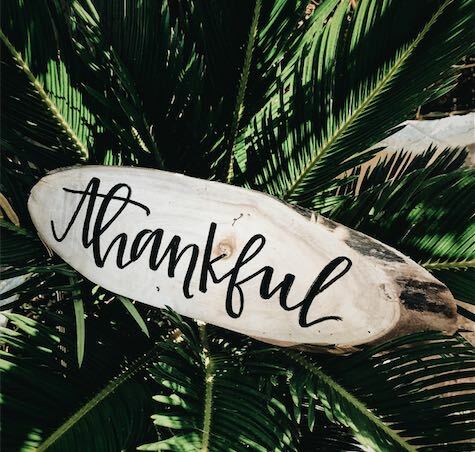 Beginning tomorrow morning, take just 30 seconds and fill in that blank statement, “I am thankful for…” and see what comes to mind. Then the day after that, do it again. And the day after that, repeat. By the time Thanksgiving Day arrives, you will be in full thanks-giving mode. You may even be able to find a little more joy with the people sitting around that table with you. September 21 marks the International Day of Peace, a recognition that promotes peace around the world in countries, cities, and communities. The 2017 theme is Together for Peace: Respect, Safety and Dignity for All. An event map indicates where events are being held around the world, including meditation, music, marches, and other events. Put into action in 1981 by a United Nations Resolution, and celebrated for the first time a year later, the International Day of Peace reminds us all to bring peace into our lives, whether here at home or abroad. The International Day of Peace uses education as a means to encourage peaceful co-existence and safe, open dialogue as a means of understanding. Some of us are more removed from speaking out for peace because our lives seem rather “peaceful” as they are. Yet for millions of people of all cultures, genders, ages, and economic classes around the world, they have only known war; they have not experienced peace. When we consider war, we may think that battles are only fought with destructive weapons and artillery force. Yet, some people experience a war of a different kind as they try to simply live their lives as best they can. A war of words can be a form of abuse. A war-torn body can show signs of a domestic dispute and physical abuse. Belittling another human being can leave scars of emotional abuse. Within families, wars are fought too, with relatives often choosing sides, deciding whom they will defend. Within companies, wars among departments or staff can occur when judgment and ego get in the way of collaboration and cooperation. How are you making peace within your world? Are you encouraging those around you to share their thoughts and opinions through open dialogue? Are you trying to look at challenges and disputes, then identifying potential solutions? To make the world a better place begins with one person: You. 3. Good health and well-being. 6. Clean water and sanitation. 7. Affordable and clean energy. 8. Decent work and economic growth. 9. Industry, innovation and infrastructure. 11. Sustainable cities and communities. 12. Responsible consumption and production. 16. Peace, justice and strong institutions. As you consider your contributions to your community and the world, what goals are you working on every day to create a better life for all? Peruse The Lazy Person’s Guide to Saving the World, compiled by the United Nations, and you will find many simple tasks that you can complete easily. Share it with co-workers. Create a conversation. Take action. On Monday, August 21, 2017, millions of people travelled to the path of the total solar eclipse to view the entire cycle, and particularly that moment when the moon travels in front of the sun, leaving a spectacular ring. Millions more viewed the eclipse on television or a mobile device. The rest of us viewed a partial eclipse from our back yards or office parking lots. Even Alaska Airlines maneuvered a flight into the path of the total solar eclipse for invited astronomers and special guests. The sheer beauty of nature is best revealed in these moments of awe-inspiring wonder. When you sit back, become fully aware, and let nature unfold, you realize that that moment will never again be repeated. Ever. Sure, there will be other sunrises, sunsets, eclipses, but not that same one. It’s a powerful thought. When you are fully present in a moment, any moment, you derive the greatest pleasure from it, because your mind is nowhere else. It’s not cluttered with thoughts of your To Do List or what you could make for dinner. Your mind is completely focused on that moment. The benefit of present moment awareness is that it allows you to take in what is happening in that moment. You can set aside other feelings or hidden agendas, anger or angst, and simply be. 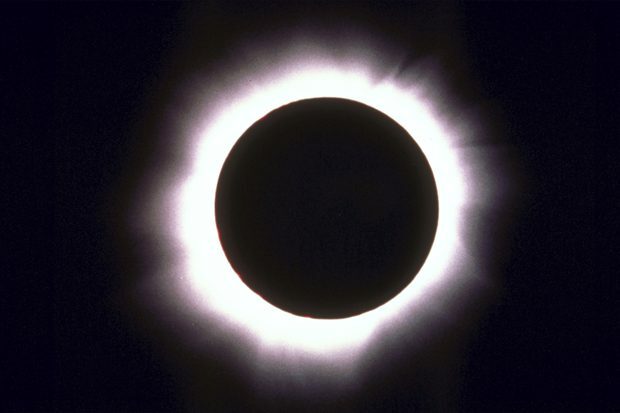 We witnessed that on August 21, when we experienced the solar eclipse in person. It took our breath away. It left no room for anything else except our focus and attention. We were suspended in that moment of pure exhilaration. We came from different cities, countries, socio-economic backgrounds, races, religions, genders, and education levels, and somehow it worked beautifully. We collectively shared that moment together. Let’s take what we learned in that moment and apply it to our workplaces, our communities, and our country. Former U.S. Secretary of State Madeleine Albright tweeted “Enjoyed watching #Eclipse2017. A great reminder that all darkness is temporary.” Let’s listen and learn from each other. From awareness comes change, true change. It begins with open dialogue. Let the conversation begin. When you think of who inspires you, do you often think of someone who is older than you who taught or mentored you? Perhaps it’s someone whom you have admired from afar? Or a world figure who remains with you in spirit? Don’t overlook today’s youth for inspiration. 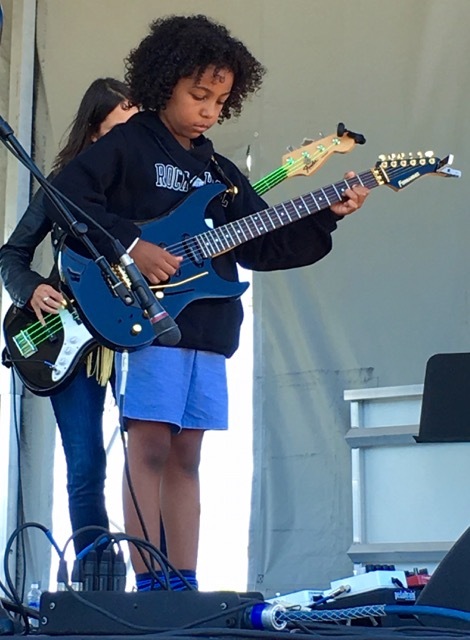 While reading the Sunday newspaper, my husband noticed that a special free concert was being hosted that afternoon at the Rock and Roll Hall of Fame and Museum, featuring a nine-year-old rock and roll prodigy, Marel Hidalgo and his band, the Stonefeathers. It was a perfect Summer day and having no plans, we decided to go. As the band assembled on stage, Marel positioned himself center stage, ready to play. The electric guitar was almost as big as he was! As we sat and enjoyed listening to the music, I also enjoyed watching the surprise and delight of passersby as they realized the young age of the talented guitarist. The playing was not accompanied by any theatrics or jumping around. Marel simply stood and played his guitar. Occasionally he shared a simple “Thank you” following the audience’s applause. I was impressed with his composure and clarity of purpose. Playing the guitar since the age of four, Marel plays many of the great guitarists, including Santana, Prince, and Jeff Beck. His Purple Rain tribute to Prince is touching. Sometimes adults can be quick to judge or under-estimate “today’s youth.” For me, Marel Hidalgo inspired me, and it’s safe to say he inspired everyone in that audience. The next time someone asks you, “Who inspires you?” think of a young person you may have met, seen, or heard who inspired you to live your dream or to just be yourself. Summer is the time of year when you can kick back and relax, go on vacation (or a stay-cation), cookout on the grill, enjoy daylight longer, and reunite with family and friends. Even if you’re in the midst of a demanding project this Summer, you can still take a break to enjoy nature or a short retreat. A reunion is important. It reconnects you with people who you haven’t seen in a while, or family members you haven’t visited in a long time. If you were to make a short list of “must-see” individuals this Summer, who would make it onto your list? Pick up the phone and call or send a quick email or text. Why reunite? To reconnect. To remember. To say “Thank you for being there.” To celebrate the good times. To simply be. I recently co-chaired a reunion event for a women’s civic organization that I led as president more than 25 years ago. The organization sadly closed its doors about a decade ago. My reunion co-chair was the club’s executive director during my term as president. She remains a close, longtime friend. We decided to recognize the club’s founding in 1916 with a 101st anniversary celebration. Sixty women attended the event, some of whom I hadn’t seen in 20-25 years. The energy level was palpable. Over cocktails, during dinner and dessert, there were lots of laughs and plenty of hugs and kisses to go around. We paid tribute to the years of history we shared together. Many served on the board as I did, chaired committees, or volunteered in the office. The women reminisced about their collaborative community work, fundraisers and programs they had chaired, and lasting friendships they had made through their club membership. Everyone felt valued and connected, celebrating being part of something larger through the club. When asked to comment on what lessons they learned or a favorite memory, they shared: “Meeting diverse women who I would not have met otherwise.” “Great women.” “Lifetime friendships.” “Best leadership training ever.” We received rave reviews from the women who joined us that evening, some of whom insisted that we reunite every year. It is clear they want to remain connected, so we will make sure that happens. What about you? 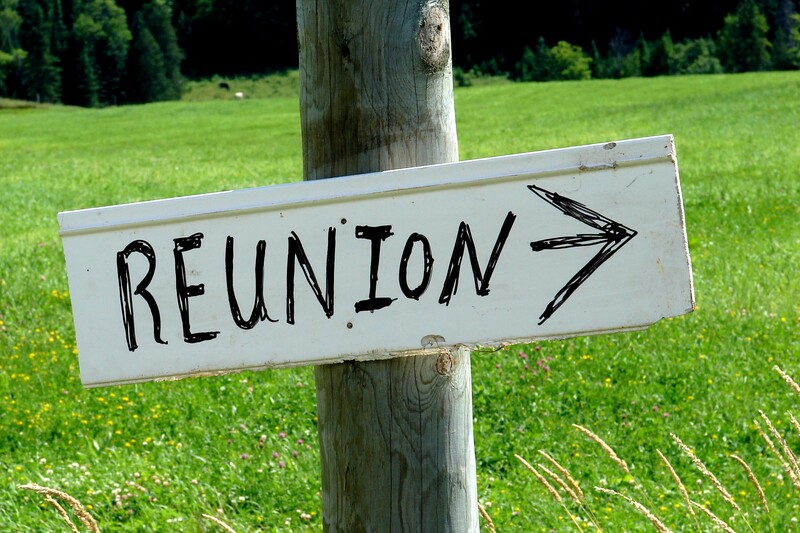 What reunion will you be planning this Summer? Who will you be reaching out to for a get-together? Whether it’s a larger group or just a few people, take the time to celebrate who you have shared history with. Rekindle those relationships with people who have influenced or inspired you. The years pass by too quickly. The time to reunite is now! I have never met Bill, yet, I look forward to receiving and reading his frequent emails. He is one person who is changing the world one email at a time. You see, Bill is the CEO of Penzeys Spices, a purveyor of herbs, spices and all things gastronomic. Not only is he passionate about cooking; he is passionate about being kind to others. Bill is not your average CEO. He is way above average, a CEO who understands what it means to pay it forward. I wish more company leaders provided an environment of love, support, and kindness. Imagine the level of true prosperity that we could experience as a society. Being a fan of Penzeys Spices, I – like many smart gourmandes – signed up for the email list for free spices, offers, recipes, and other goodies. What I received in return was a newly-acquired taste for goodness. I’m not talking about just gourmet goodness…I’m talking about simple human goodness. Bill is a good guy. The goodness he shares comes from his world view, his spirit, and his written word which appears in Penzeys Spices emails. 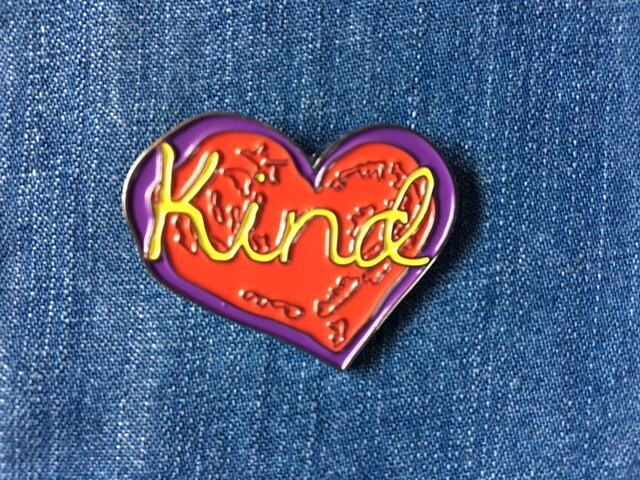 The one email that got my attention was Bill’s offer to send a free Kind pin (pictured within this article) to anyone who marched in The Women’s March on Saturday, January 21, 2017. As you recall, this national spirited March attracted unprecedented numbers of women, men, and children in Washington, D.C. who had a strong desire to share their voices with the world. And this March happened not just in cities across the United States; it happened globally, in cities around the world. The voices of the masses shared positive messages of hope, compassion, joy, love, understanding, peace, acceptance, and kindness. In return for the free Kind pin, Bill requested that marchers share their personal stories of why they marched, and any kindness that they experienced or witnessed that day. In an email, Bill said, “I believe history will show just how important The Women’s March was, and just how great of a debt we owe those who Marched. Their humanity, kindness, and strength were just the reminder we needed of what really makes America great, at the very moment we so desperately needed to be reminded.” In total, Penzeys Spices shipped 174,139 free Kind pins to people who participated in The Women’s March. What Bill – and Penzeys Spices – did through his generosity and act of kindness was to remind us that true change begins with one simple idea that is put into action. Thank you, Bill, for being a positive role model and inspiring others. What type of change do you want to initiate? Get started today! 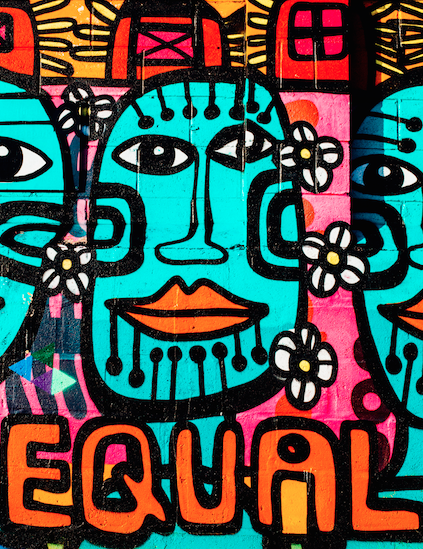 Today marks International Women’s Day, one day each year that celebrates the “social, economic, cultural, and political achievements of women.” This year’s theme is Be Bold For Change. Take a moment to honor and recognize the women who have served as positive role models in your life, who have inspired and motivated you, and who have bravely charted new territory as pathfinders. Now imagine your life without them. Oh, wait a minute. You wouldn’t be here if not for a woman! This message is being reinforced by leaders of the January 21, 2017 Women’s March. They are encouraging women to participate in A Day Without A Woman on this International Women’s Day by not spending any money (or alternatively supporting women- and minority-owned businesses) and by not engaging in any work. Think about all of the women who have encouraged and inspired you. Mothers. Grandmothers. Aunts. Sisters. Daughters. Granddaughters. Great-granddaughters. Sisters-in-law. Mothers-in-law. Teachers. Bosses. Co-workers. Neighbors. Religious leaders. Shop owners. Community leaders. Political leaders. Friends. I for one would not be the person I am today were it not for the courageous, intelligent, fearless women who came before me. On this day, I honor my maternal grandmother who emigrated from Poland to begin a new life in America. She spoke no English when she arrived at Ellis Island. As a wife and mother, she ran a large household (with seven children) on a small stipend. Her values of hard work, discipline, and sacrifice were passed on to her children. My 96-year-old mother continues to inspire me every day. I have enjoyed many lengthy conversations with her over the years, listening to her life story, and understanding her remarkable life as a first generation American. It took her ten years to work her way through college to receive her first degree – at the age of 47. At the age of 80, she received her second college degree. Although she could have audited classes for free as a senior citizen, she preferred to pay for every class so she could earn a degree. Now more than ever, women’s voices must be heard. We are economic decision makers, leaders in education, innovators in science and technology, entrepreneurs, and nurturers of the human family. Our inclusive and collaborative style leads to positive change. A quick review of Forbes Magazine’s “The World’s 100 Most Influential Women” will remind you of the capabilities and accomplishments of women. At some point today, pause for a moment, and silently thank the women who have encouraged, supported, and inspired you. Or better yet, pick up the phone and call them!